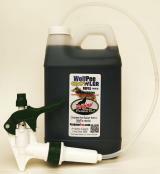 100% Pure Wolf Urine is a powerful communicator to animals at the top of the food chain. Coyote, Moose, Bear, Elk, Weasel, Beaver & Mule Deer fear the wolf more than any other animal. 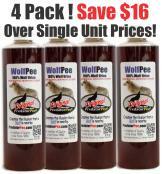 That is why the scent of WolfPee is such an effective natural weasel repellent. When these large prey believe there is a wolf in the immediate area, they flee. Also, WolfPee scares the socks off Feral Cats and house cats too! By liberally marking an area with WolfPee, you duplicate the territorial marking habits of wolves in the wild. This illusion triggers an instinctive response in the prey. If wolves are around, these animals want to be far away! 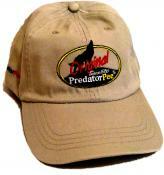 Wolf predator urine is not a pesticidal repellent, but rather it is a powerfully effective territorial deception scent. Choose your weasel deterrent below.